Reverend Jesse Washington, Jr., is a native of Rembert, South Carolina, and received his Bachelor of Science Degree from North Carolina A&T State University at Greensboro, North Carolina. Additionally, Reverend Washington completed coursework towards a Master of Education Degree from the University of South Carolina and completed coursework towards a Master of Divinity Degree from The Lutheran Theological Southern Seminary, Columbia, South Carolina. Reverend Washington was ordained by The Midlands Baptist Association, Inc. in October 2008 and he is serving his tenth year as pastor of Zion Chapel Baptist Church #1. His Christian service spans across thirty years at First Nazareth Baptist Church, Columbia, South Carolina. During his thirty years at First Nazareth, Reverend Washington was a trustee, deacon, and chairman of the By-laws and Constitution Committee. Additionally, he served as Sunday School Teacher for three years. He was licensed by First Nazareth Baptist Church in December 2007 under the pastoral care of Reverend Dr. Blakely N. Scott. Reverend Washington is an affiliated Minister of the Baptist Education and Missionary Convention of South Carolina and the Progressive National Baptist Convention. Currently, he serves as board member of the State Credit Union. Past board memberships include the American Red Cross, the United Way of the Midlands, the Better Business Bureau, Columbia Chamber of Commerce and Providence Hospital. 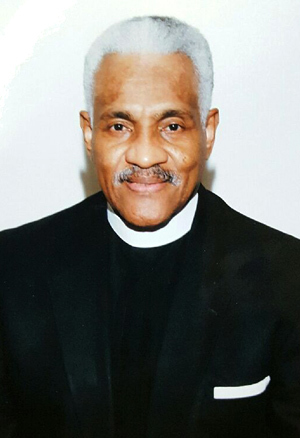 As a dedicated servant to the community, Reverend Washington received numerous awards and honors; which include recipient of the Key to the City of Columbia, the Greater Columbia Chamber of Commerce’s Woodrow Wilson Pinnacle Award, the Order of the Palmetto – South Carolina’s highest award, and he was an honoree of the BellSouth 2000 African American History Calendar. Through his dedicated public service, Reverend Washington created and hosted several state-wide interactive television programs through South Carolina Educational Television to open dialogue among the races, cultures, and religions. Additionally, he designed a foundation for the establishment of local community relations councils to resolve potential race problems at grass roots levels, and co-hosted and co-produced “Religious Tolerance after 9/11: South Carolina Perspectives”, which was aired on South Carolina Education Television. Reverend Washington has published articles in two state-wide publications which focused on the quality of life in South Carolina and equal employment opportunity plans. Reverend Washington retired as South Carolina’s fourth Commissioner of the South Carolina Human Affairs Commission in December 2010. Prior to heading the Human Affairs Commission, he was Executive Director of the Greater Columbia Community Relations Council. He created and hosted South Carolina Educational Television, “The Great Divides”, a state-wide interaction television series designed to open dialogue among the races, cultures, and religions.